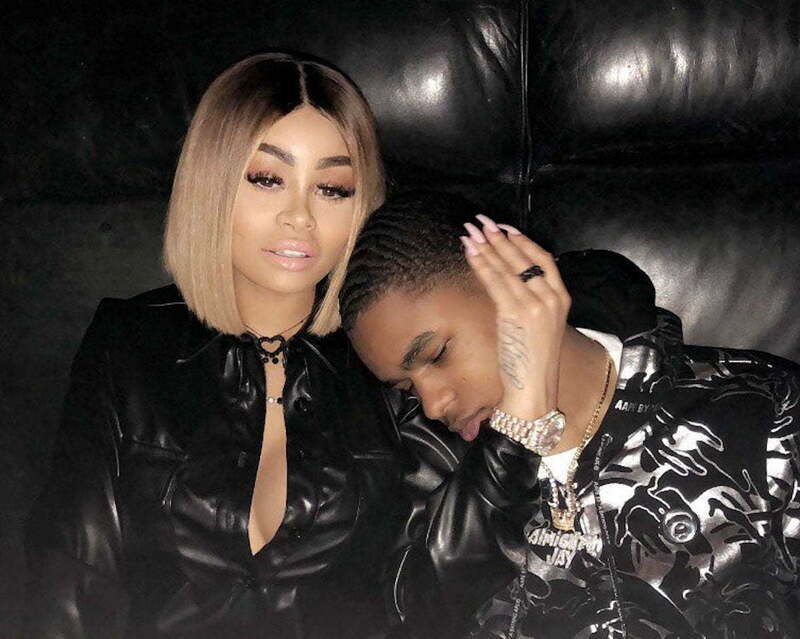 YBN Almighty Jay is so in love with Blac Chyna that he wants to marry her. 19-year-old rapper YBN Almighty Jay is ready to tie the knot and settle down with a woman 10 years his senior. The “Chopsticks” rapper and Blac Chyna have been dating for a few weeks now which is light years in celebrity relationships. On Tuesday he posted a pic of his boo with the caption, “Will You Marry Me?” The MC left a ring emoji on the post to let her know that he is very serious. Since they became an item, YBN Almighty Jay and Blac Chyna have almost been inseparable. He was right there by her side last week when she got into a fight with another female at Six Flags. In fact, he was the one holding her back when she wanted to throw a stroller at the other female involved in the fight. The reality star lost an endorsement deal and earned herself a fresh round of legal troubles with her baby daddy Rob Kardashian over the fight. Rob now wants a judge to revise their custody and child support agreement arguing that she is putting their child in danger. While a lot of their fans are on Instagram waiting for their relationship to be demised, seems YBN is already thinking about taking it to the next level. Blac Chyna has yet to respond but I am sure she already gave him that grown woman talk about the subject at hand. Don’t be too shocked if you see Chyna start wearing a giant engagement ring. Last week, YBN Almighty Jay posted a video clip of himself flushing money down the toilet while yelling that he doesn’t want to rap anymore, he wants to be an actor. Perhaps he is strongly considering a career switch to Hollywood.